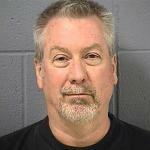 I would be remiss if I didn’t at least mention that Drew Peterson’s trial for murder of his 3rd wife is underway, with opening statements beginning this morning. The Chicago Tribune has a live blog of the proceedings for those who want to follow closely. It’s the first time I’ve touched on it here, but it is a fascinating case. His wife’s death was ruled an accident, then the case was reopened after the disappearance of his fourth wife, and only then did the state decide that she was murdered. It’s still a tough case to make. Peterson lost his best witness, the coroner who ruled the death an accident, as he passed away in the intervening years before the case reached trial. I hadn’t seen this earlier, but apparently former Ben-Gal Sarah Jones intends to testify at her upcoming trial (slated for October). It’s not sourced, so I don’t how reliable it is, but is carries the promise of some exciting exchanges at trial. More recently, the prosecutors in the case have moved for a gag order to prohibit the Defense from trying the case in the media. It’s an ironic move, as according to Jones’ attorney, they prosecutors mailed their earlier pleadings to news outlets. The judge has taken that motion under advisement. Be safe out there, don’t drink and drive at all… it’s my experience the more the cops are looking for DUI, the more likely they are to find them. DUI tests are subjective, which is scary to think they are looking for them, but the Fort Myers police department is doing so this weekend. 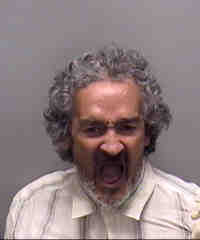 Local homeless person, and minor downtown celebrity Victor Casiano was arrested again, just a few days after his release. 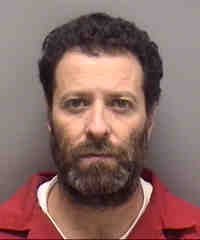 Again, he’s been charged with Battery on Law Enforcement and Resisting arrest. He’s crazy, and needs psychiatric help; as evidenced by his offenses. This time, he was freaking out in the road by Taco Bell, and then spazzed out on the cop. Below is the booking report. I touched on this story last week, when the Grand Jury returned ‘No True Bill’ against Dejerion Stewart and Eddie Leonard. Yesterday the parents responded for the first time in an interview with ABC-7, and they are distraught, as one might imagine. I have been able to obtain a copy of the grand jury presentment, which I will upload to this blog. The facts as summarized by the grand jury are thin. Stewart is alleged to be the primary actor; that he planned the robbery and was the shooter. Leonard was charged as a principal, which means he aided, abetted or encouraged the crime in some way. However, the evidence is thin. The only thing the grand jury found to implicate Stewart was the statement of Leonard. It would be exceptionally difficult to prove the case merely on a co-defendant’s story, especially when he changed his story and it was primarily self-serving. The grand jury didn’t find any evidence as to Leonard’s participation, and his mere presence is not sufficient under the law, even with Florida’s relatively broad application of principal theory. I have not been able to review the statements of Leonard or the arresting officer. The SAO indicated that the case is still an open investigation, so the reports are not subject to public records requests at this time. The police department has indicated the investigation is continuing, and news cameras showed divers working a pond near the scene. There is still substantial time for additional evidence to be presented to the grand jury that might convince them to go forward. I anticipate more on this story in the coming weeks. I’ve been trying to find time to watch the whole Zimmerman interview with Sean Hannity from the other day, but haven’t had a chance yet. I wanted to at least address it since I saw this article: George Zimmerman Prosecution May Use TV Interview as Evidence. The headline is kind of a no-brainer. Of course his statement can be used against him, and in case they need it, the state included it in evidence. His defense is not “I didn’t do it”, rather it’s an “I did it, but I was justified” defense- so he will certainly be testifying at trial to the same facts discussed in the interview. While the ABC expert thinks he made a SNAFU, I don’t think the clarification he made is all that dramatic. The interview may not even be used, provided his testimony at court is the same as on air, and I’m sure he was thoroughly prepared by Mr. O’Mara and will have a consistent story. I will try to review the whole video and follow-up if I see anything that jumps out at me!